Suggestions You Don’t Want To Miss! Homemade steam cleaner solution recipes are easy and fast to make. With a little know-how from this article, you can easily save some extra cash every month. 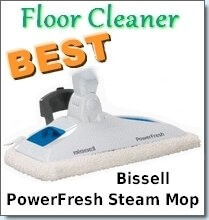 There are many homemade solutions that you can conjure up to use in your steam cleaner. 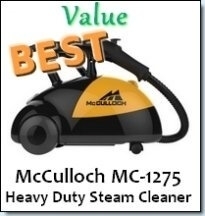 However, you do this at your own risk as most steam cleaners that use a solution (besides water) have special cleaners that you have to buy separately. 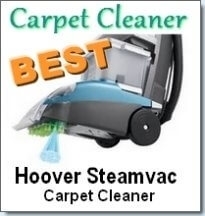 Bearing these in mind, we will discuss some homemade steam cleaner solution recipes and tips. The first tip is that when you are using normal home steam cleaners that don’t not use any other cleaning solutions but water, you can heat the water before pouring it into the tank. Your steamer will work better and faster however take the necessary precautions to protect yourself from being scalded. Another basic recipe that you can use is vinegar + club soda + hot water. You can even alter this solution by adding ammonia, dishwashing liquid and even your favorite scented oil. If you need a cleaning solution to clean your carpets, you can use ordinary detergents like Oxiclean or Tide instead. These are good alternatives to other expensive carpet cleaning solutions because they also have anti foaming properties. This works as well on your carpets as on your clothes and will prevent too much sudsing on your carpets. To make a foaming carpet solution you can: Add ½ cup of baking soda to ½ cup of dish soap or detergent. To make a non foaming carpet solution you can: Mix 1 cup of vinegar, ½ cup of baking soda, 10 drops of eucalyptus oil and 15 drops of lemongrass. Mix it completely and place into the reservoir. If you have an odor problem with your carpets i.e. pet smells, mold etc, then we can suggest you try this solution:Mix one scoop of Oxiclean, 1 cup Febreeze or Vinegar and hot water. You can use this solution in one of the supermarket rental carpet cleaners and you can say goodbye to those offending odors. It work’s wonderfully and don’t worry about the vinegar, once the carpet is dry you won’t smell a thing. Whenever you’re using a carpet steam cleaner, it isn’t always necessary to use a cleaning solution with it. You can experiment and see if plain water will do. Often times, this is enough to get your carpets cleaned. You can even use club soda for stains.. simply pour on the spot and blot it out with a towel. Buying cleaning solutions can get expensive pretty quickly and if you want to buy one, all you have to do is shop around. 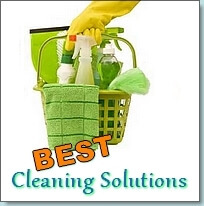 There are many inexpensive cleaners available if you just look. Walmart has a home brand cleaner which is relatively inexpensive.